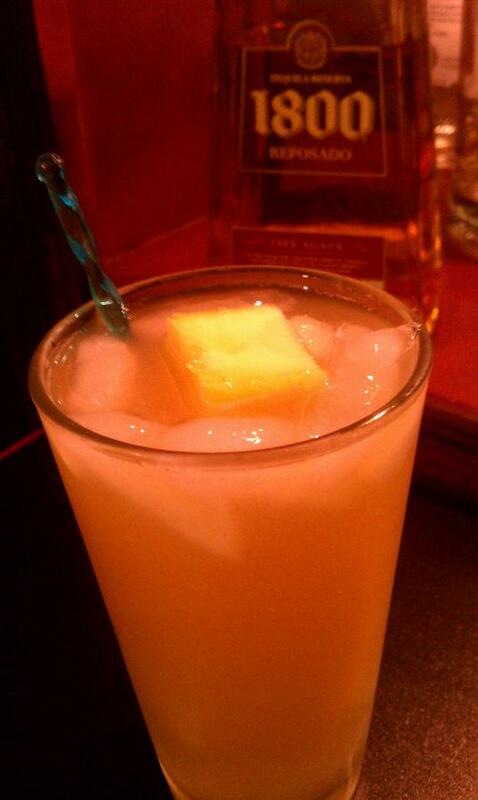 In a collins or pint glass, pour tequila over a fresh pineapple core and let it sit for a bit. 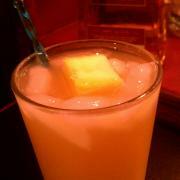 Add ice then stir in juice and soda. I like a little less juice and more tequila. The longer it soaks, the better it infuses. Simple and sweet. Very nice.